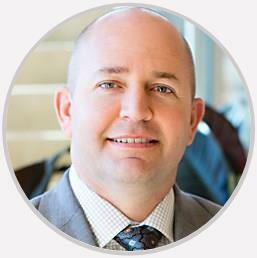 Dr. Scott Haughawout specializes in Physiatry at the Nebraska Spine + Pain Center. Very kind, talkative, explained the exam well. Dr. Haughawout did an excellent job explaining my options! I am anxious to see if the first option will help me tolerate my pain more effectively. I don’t mind Dr. H most of the time, but I believe he is a little unprofessional when he’s chatting with med assistant during my entire injection. He’s putting sharp items and needing to safely guide medication to my SPINE and he’s chatting. Dr. Haughawout is very easy to talk to and explains things extremely well. Very helpful and makes me feel a part of my healthcare team. Did a good job on my back injection. Easy to talk to. My only contact with Dr. Haughawout was in the procedure room but he seemed to be very personable as he discuss what he was doing with the attending nurses. I am very impressed with Dr H!! He explains everything so well!! I do believe he is doing everything possible to help me! Dr. Scott Haughawout specializes in Physiatry at the Nebraska Spine + Pain Center. EDUCATION Undergraduate BA Exercise Science 1994-2001 Wichita State University, Wichita, Kansas Graduate Medical School Doctor of Osteopathic Medicine 2003-2007 Kansas City University of Medicine and Biosciences, Kansas City, Missouri Internship Osteopathic Internship 2007-2008 UNTHSC – Plaza Medical Center, Fort Worth, Texas Residency Physical Medicine and Rehabilitation 2008-2011 UT Southwestern Medical Center, Dallas, Texas Dr. Haughawout holds clinic in Omaha, Lincoln, and Columbus.